Apprehension melts away. 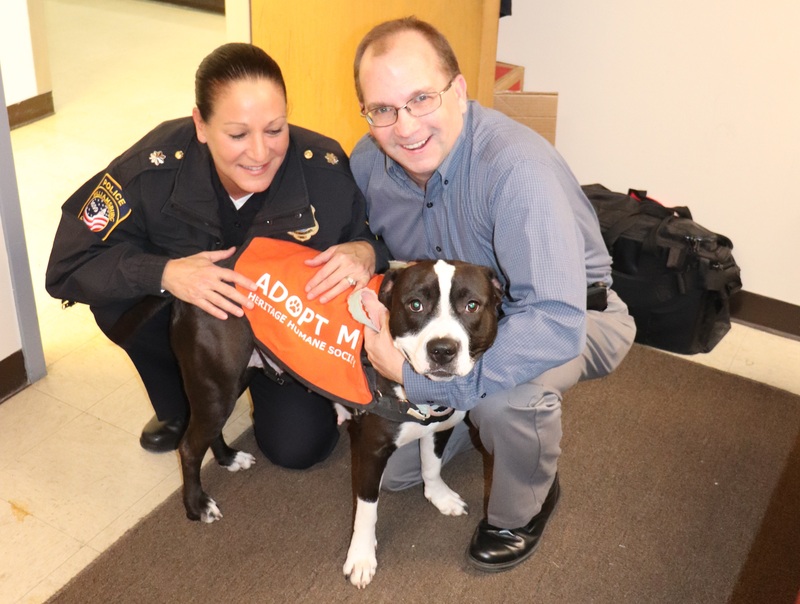 A big smile spreads across your face as you nod happily toward the officer and her adoptable “partner for the day”. 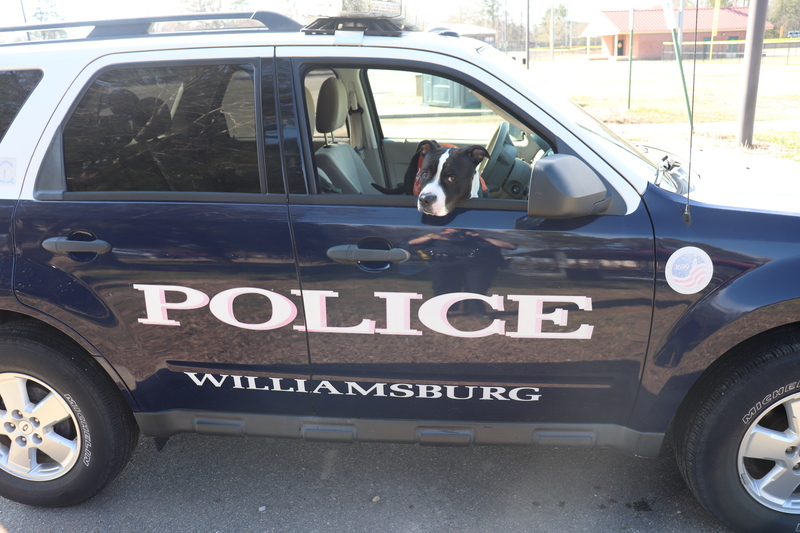 The Williamsburg Police Department has brought a new program to our community. 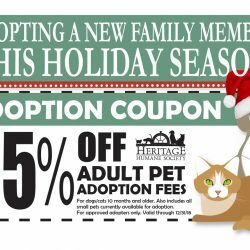 In partnership with Heritage Humane Society, the WPD is helping spread happiness and awareness of dogs searching for their forever homes. Officer Holiday is steering this pilot program. She hopes to make two trips a month as part of the “Ride Along” program. Eventually, she envisions other Officers being assigned to the program as well. Judging by the number of smiles and “warm fuzzies” that the inaugural outing has produced, we are off to a great start. The benefits go beyond relationship building in the community. The benefits even go beyond giving much needed exposure for homeless dogs to potential adopters. As far as the dog is concerned, the program offers a literal and metaphorical breath of fresh air. The staff and volunteers work hard to provide for the mental health of each animal. But cabin fever affects dogs too. Sometimes they need to get out of the kennel, off the grounds, and to a new world of sights and smells. This task has, historically, fallen on a small corps of dedicated volunteers. We are thrilled to have the Williamsburg P.D. join in the effort. Getting out and about. Using their nose. Meeting new people. Seeing new sights. Hearing new sounds. These are all invaluable forms of enrichment. And invaluable forms of preparation for re-entry to life outside the shelter. These are also the reasons why the WPD “Dog for a Day” program is a can’t miss. No matter what, the dog wins. 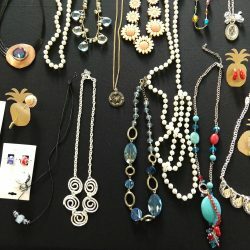 Click HERE to read the WYDaily article written about this amazing program!